In addition to 96 embarrassing photos from your scene kid phase, MySpace has deleted over 12 years of photos, music, and videos, including over 50 million songs uploaded by 14 million artists. This week, the iconic but long-declined social media giant MySpace announced it had accidentally deleted all user data uploaded before 2015. The data loss, which includes all photos, videos, and music uploaded from 2003 to 2015, was reportedly the result of a server migration. Apparently, they didn't have a backup, so 12 years' worth of photos, videos, and music are now lost to the annals of history. "As a result of a server migration project, any photos, videos, and audio files you uploaded more than three years ago may no longer be available on or from MySpace. We apologize for the inconvenience and suggest that you retain your back up copies." MySpace advised all users to direct inquiries to Data Protection Officer Dr. Jana Jentzsch at DPO@myspace.com. In addition to 96 overedited photos emblazoned with Atreyu lyrics you uploaded during your scene kid phase, the data deleted includes over 50 million songs uploaded by 14 million artists over a 12-year span. Andy Baio, former chief technology officer at Kickstarter, shared MySpace's official explanation on Twitter, but says he's skeptical. “I’m deeply skeptical this was an accident. Flagrant incompetence may be bad PR, but it still sounds better than ‘we can’t be bothered with the effort and cost of hosting 50 million old MP3s,’” Baio wrote. The company publicly confirmed the data loss only after a post on subreddit r/technology went viral on Sunday, March 17. Though MySpace was a sacred relic that played a major role in many of our early teen years on the internet, it's pretty unlikely that you're still logging on. Following the website's launch in 2003, Ruper Murdoch's News Corp purchased the company in 2005 for $580 million. By 2007, MySpace was valued at $12 billion, having ballooned to over 20 times its worth in just two years. That same year, the site boasted it had 300 million active users (the equivalent of the entire population of the United States). 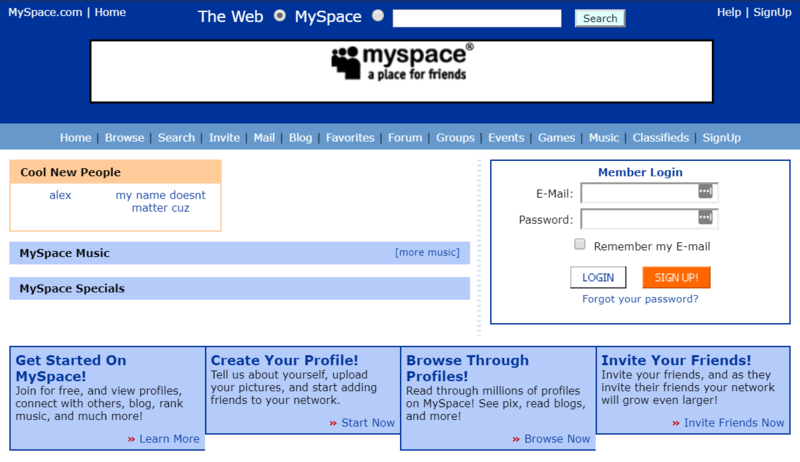 From 2005 to 2009, MySpace was the largest social networking site in the world, attracting over 75.9 million unique users a month. If you're between the ages of 25 and 31, you were probably one of them. 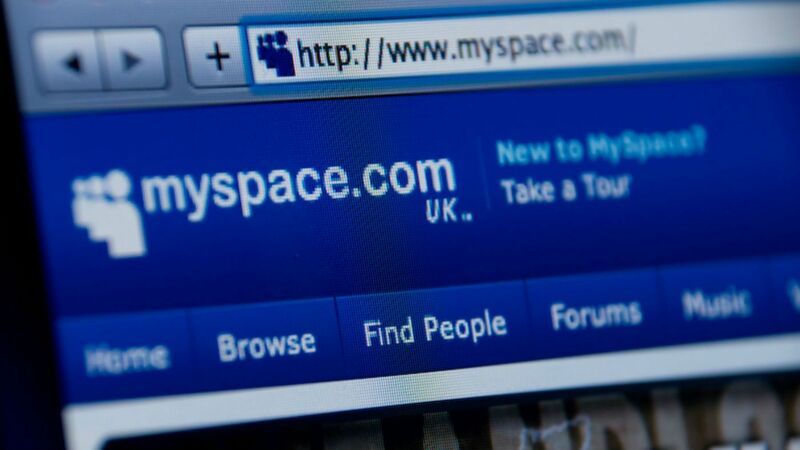 After 2008, MySpace started losing traffic to Facebook. In April of that year, Facebook first overtook its predecessor in web traffic quantity. The rest, sadly, was history. The company was officially sold for just $35 million to Specific Media in 2011, then Time, Inc. in 2016 (a division of WarnerMedia), and finally, Meredith Corporation in 2018. In 2016, MySpace reported just 15 million monthly users, compared to Facebook's reported 1.39 billion. Did your old photos and songs get deleted? In what was arguably the most heated incident of my teenage years, my mother already made me delete my account in 2011, when she required I switch to Facebook or abandon social media entirely. Clearly, with my absence, the website didn't stand a chance. I blame her. CBD-infused jelly beans? They're a thing -- just in time for Easter. Read all about it here!